Harrisburg – On Monday, July 17th, the Pennsylvania Senate approved Rick Kauffman’s appointment by Gov. Tom Wolf to the Pennsylvania Fish and Boat Commission. Kauffman, Bern Township, was nominated by Sen. Judy Schwank. 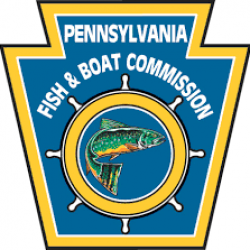 The Pennsylvania Fish and Boat Commission is made of 10 commissioners who serve four year terms. Two members serve at large and are experienced in boating and water safety education. The other eight represent specific regions in the Commonwealth. Kauffman will represent District 8, which includes Berks, Bucks, Chester, Delaware, Lehigh, Montgomery, Northampton, Philadelphia and Schuylkill counties. Kauffman said serving as a commissioner is a way for him to honor Pennsylvania’s outdoor heritage.